Steven Liu – Jarman International K.K. BIO: Steven speaks Chinese, English, and Japanese. 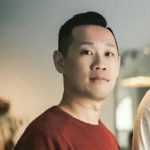 He is a Social Media Consultant that helps clients to use different social media (such as Facebook, Instagram, Weibo and WeChat) to accelerate clients’ business expansion to China, Hong Kong and Taiwan.